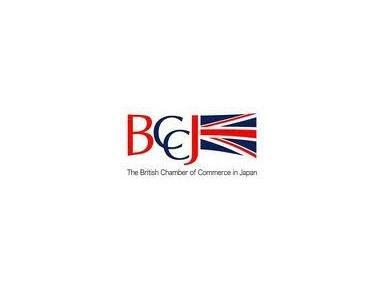 The BCCJ is a progressive Chamber of Commerce that serves a network of over 700 members throughout Japan. We create value for our membership by offering a wide range of events, information services and networking opportunities, with a view to supporting the business interests and enterprises of all members - both in Japan and overseas. encourage Japanese investment into the UK. The BCCJ enjoys a close and long-standing relationship with the British Embassy; together with the British Council and Visit Britain, we make up the UKNOW group. We play a key role on the European Business Council, which, with more than 3,000 members, is the most influential networking and advocacy organization for Europeans in Japan. Access to the EBC for British companies and individuals can be gained principally through BCCJ membership. We work closely with other foreign Chambers of Commerce in Japan, hosting joint events and leveraging resources when this is advantageous to our membership. We have long-standing relations with the British Market Council and with government departments and trade organisations in Japan and the UK, including the CBI.